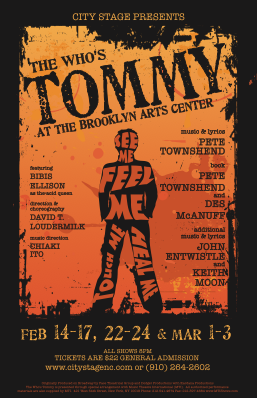 If theatre is up your alley, then you will not want to miss The Who’s-Tommy being performed at the Brooklyn Arts Center in Wilmington, February 14th – 17th. The Brooklyn Arts Center is the previous home of St. Andrews church which has stood on this location since 1888. The venue boasts 50 foot high cathedral ceilings, stained glass windows and a state of the art sound system. A fantastic place to see a show! Jazz lovers will come together once again this year for the 33rd Annual North Carolina Jazz Festival in Wilmington beginning February 7th. This is a fun filled three day event that brings musicians from as far away as Australia, Italy and places closer to home like New Orleans. This year offers an amazing array of talent with performers from age 17-87. Each night will feature seven sets of music with a different leader. Concerts begin at 7:30 each night and last until midnight. On Saturday from 10:30am until 2:00pm patrons to this event will get to enjoy a jazz brunch and also the opportunity to “jam” with these world famous musicians! How cool is that? Looking for another great reason to come visit the beach? How about a chance to step back to Victorian times and discover the meaning of Flowers and Fans at the Latimer House. Built in 1852 this elegant mansion with its surrounding gardens exemplifies upper class life in Wilmington during the Victorian period. This entry was posted in Art, Music, Romance by admin. Bookmark the permalink.